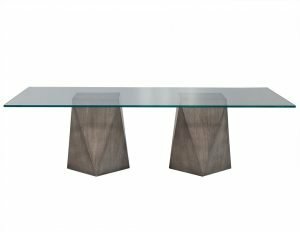 ATA dining table is an attractive piece with its smart combination of lacquer and wood. 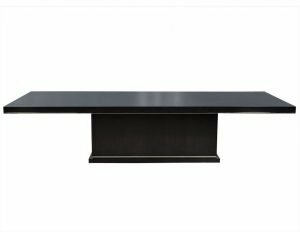 The convex-shaped tabletop features wood on the upper part and lacquer underneath. The overall luxurious identity of this piece is made impressive by the detailed joinery of the lacquered legs and the solid wood support. Top is a satin finished walnut the base and legs are solid black lacquered wood.